The UConn 3DPC team at Printathon 2015. 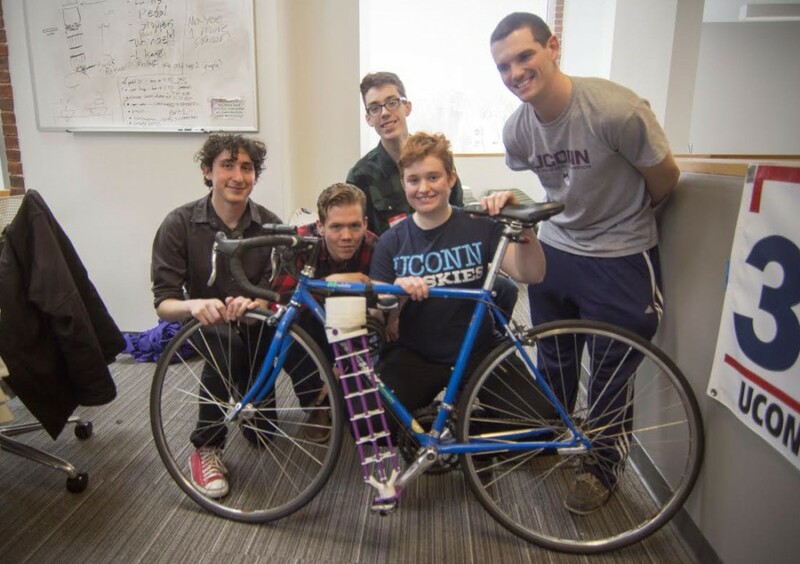 The 3D Printing Club, 3DPC, won first place at Printathon 2015, a 24-hour 3D printing competition hosted at Brandeis University on March 6-7. 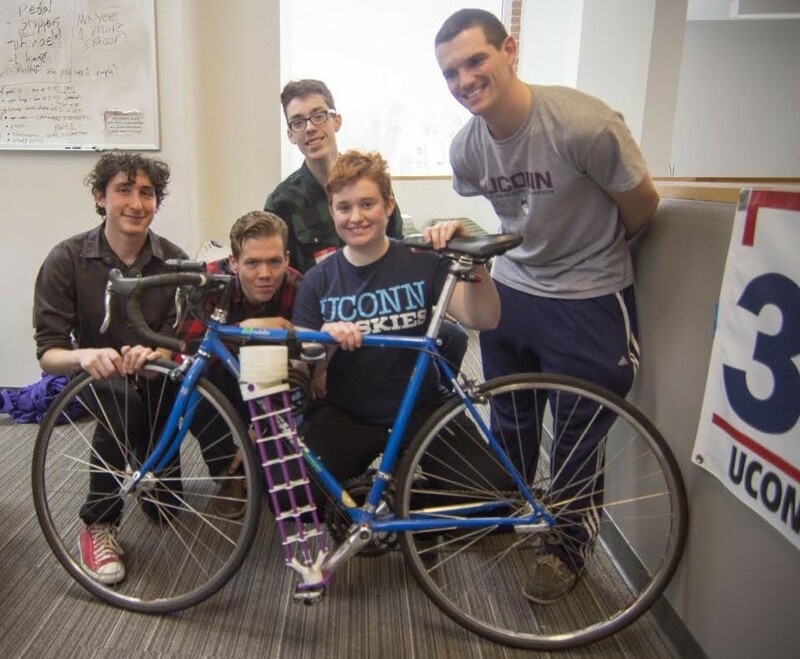 Competing against five other teams, including teams from Brandeis and Columbia, UConn “blew the judges away” with their 3D printed prosthetic leg for bikers. 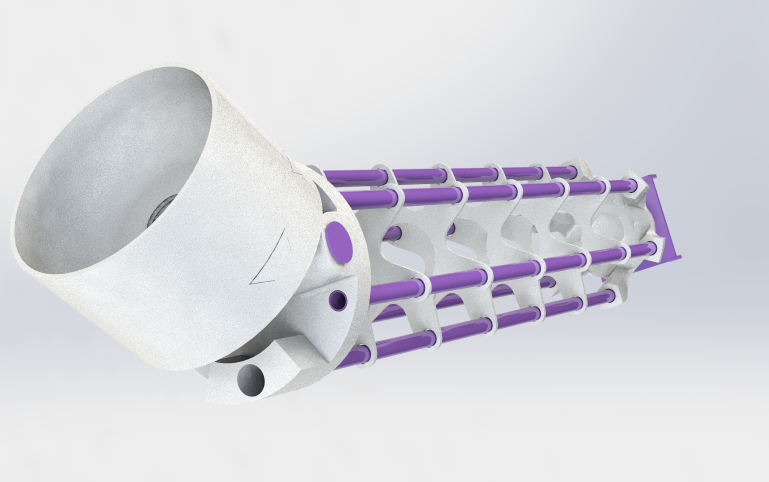 The winning design attaches to a bike pedal and allows an amputee greater mobility control. Judging was based on creativity, complexity, functionality, and adherence to the social justice theme of the contest. The team was comprised of club advisor and MSE lab manager Adam Wentworth, Lucian Chapar, Leslie Prunier, Rory Fahy, Tim Henning, and Aaron Hagewood. 3DPC has been in the spotlight after their impressive competition victory, appearing in articles on The Justice and 3DPrint.com. 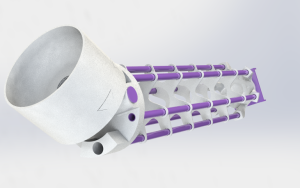 The team will have their winning design printed by 3D printing marketplace Shapeways and receive $500 of Shapeways printing credit. 3DPC is one of the most popular clubs on the UConn campus. Founded in 2013 by MSE alumni Rafael Patel, the club now boasts over 165 members. 3DPC will participate in the UConn-Yale Hackathon on March 26-28 and the Inside 3D Printing Conference at the Javits Convention Center in New York City on April 16, in addition to an appearance at the UConn Co-op on April 1. Follow 3DPC’s Facebook page for updates on club activities.